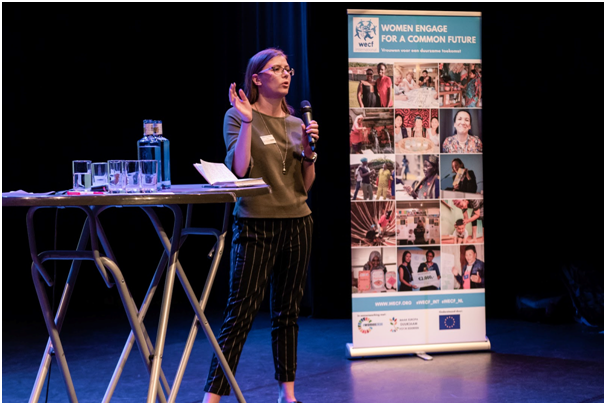 WECF and Building Change organised the event “The Netherlands in the next gear – Adopt an SDG live” on 27 September in the Koorenhuis in The Hague. 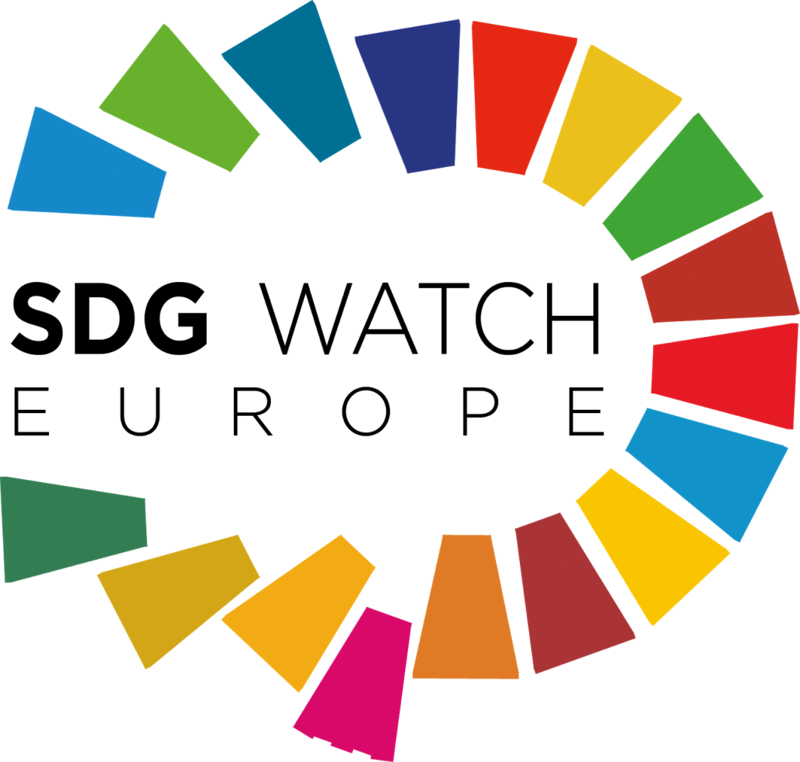 The purpose was to answer “How can we bring the Netherlands into the next gear to achieve the Sustainable Development Goals?”. These were discussed by representatives of the youth organisations affiliated with the major Dutch political parties, and with MPs Michel Rog (CDA), Isabelle Diks (GroenLinks), Corrie van Brenk (50Plus), Anne Kuik (CDA), Chris Stoffer ( SGP), and Kirsten van den Hul (PvdA). The speakers also talked about what they had done with their SDGs in the past year and how are they going to commit to their SDGs in the near future. In addition, Ida Bakhturidze, a champion of women’s rights in Georgia and gender coordinator of WECF’s Caucasus office, spoke about her work. CSOs ActionAid and Both Ends organised in depth sub-sessions on fair taxes, equality, and shrinking social space for CSOs. Recommendations of these sessions were give to the MPs present. The conference was opened by Kirsten Meijer, WECF The Netherlands director. (see photo), the other photo is Sanne van de Voort (WECF) presenting the outcome of the women human rights defenders session. Women Engage for a Common Future (WECF) safeguards our children’s future by creating a healthy environment and sustainable development for all. We strive for balancing environment, health and economy. We enable women and men to participate at local and global level in policy processes for sustainable development. Our network’s activities are based on our partners’ own visions and needs.